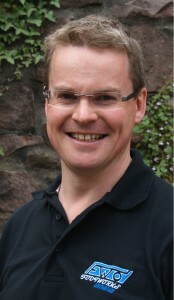 Martin Bell, Specialist in Bio-mechanics and Gait Analysis. Clinical Specialist Orthotist, BSc. MBAPO HCPC Reg. Since graduation (19 years ago) from the University of Strathclyde, Glasgow, Martin has since been fortunate to treated olympians, paralympians, has seen several clients successfully finish the Marathon Des Sables and has numerous clients who participate regularly in international sporting events. He has worked as an extended scope practitioner for North Somerset Community partnership MSK team since 2011 and is very well connected with the orthopaedic and health professional rehabilitation teams around Bristol. He regularly treats individuals complaining of prolonged or recurrent injury, typically suffering from an underlying hip or foot problem that has remained untreated for many years. His clients require comprehensive Bio-mechanical Gait Analysis and tailored treatment to assist their return to activity.